Cinema seats determine the positioning of the theater, manufacturing materials is an important standard to measure the quality of the seat, fabric, back, arm and foam and other aspects of the quality of the seat to determine the quality of the seat. 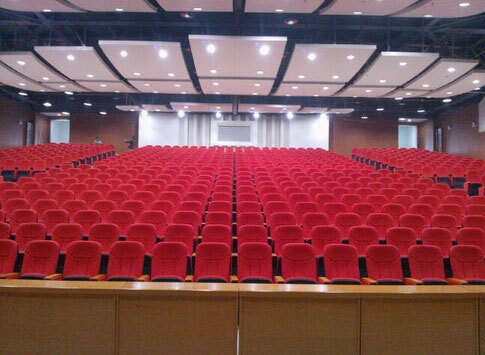 In the seat fabric, due to the market positioning of each theater and the requirements of the seat are not the same, so the manufacturer of theater seats in the selection and quality will do the division of high school. Currently on the market there are imports and domestic fabrics, but also the material, such as cloth, leather and other materials. Domestic fabric quality is relatively poor, but the import of fabric is still divided into high and low. Of course, different fabrics made of theater seats, quality and price will be relatively different. In addition, the theater such a public place, the choice of the fabric of the chair is also very important to the key points of the dirty wear resistance.